When it comes to Moscow flower delivery or even sending flowers worldwide, no one else comes close to Megaflowers. We serve both individual and corporate clients around the Russian capital: from Voskresensk to Ozherelye, Aprelevka to Yakhorma, and Kolomna to Zvenigorod. No matter where you are: Moscow, St.Petersburg, Novosibirsk, Ekaterinburg or other cities in Russia, We will see to meeting your specifications in a timely manner, whenever you place an order. We have a service that enables you to track the status of your order via sms. Be sure that we only deliver fresh flowers; besides, our flower delivery takes us only three hours! Whether you want to send flowers to Russia or any other country, Megaflowers makes it possible within just few hours through our international flower delivery and same day flower delivery services. MegaFlowers is precisely what you need to send flowers the same day at cheap prices, and to order flowers for delivery online. We do hassle-free delivery of flowers to Russia. 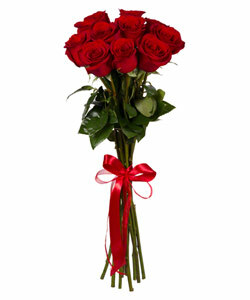 Just like our wide range of products, our prices for flowers shipping are also very competitive. In addition to offering advantageous discounts - as most of our individual and corporate clients can tell you - we are so flexible when it comes to payment. We accept various payment methods including credit cards and online payment via Paypal. Those who prefer alternative payment methods need not worry - we accommodate everyone. What's more, when placing an order to send flowers, you can choose an extra gift - at a minimal additional cost - to be sent together with your flowers. The gifts on offer include Champagne, Martini, stuffed toys, cakes, fruit baskets, multicoloured balloons and even chocolate and candy boxes! We guarantee to send you the freshest flowers from the best florist in Moscow! As if to attest to this fact, most of our clients are very pleased with the quality level of our products and services. With over thirty positive reviews so far - all of which are five star - we have proven that customer satisfaction is the driving factor behind its operations. Our customers praise us for being very professional, understanding, polite and friendly. They have also described our courier service as being coherent, and vowed to use our services again, because we make deliveries in right time. If you are thinking of sending flowers to Moscow, St.Petersburg, Novosibirsk, Ekaterinburg and other cities in Russia, be sure that once you place your order, we are certain not to disappoint you - in fact, we will definitely exceed your expectations! Don't compromise on quality. Try us today! There is only a handful of cities in the world which are in the same league with Moscow. Moscow is ancient – but still young, a sprawling urban giant – but beautiful and unique, a city with most billionaires in the world – yet full of ordinary people with ordinary wishes and needs. Another thing that comes to mind about these beautiful cities is flowers, starting from heavy ceremonial wreaths at the Unknown Soldier Tomb and many other memorial sites to a solitary white rose in the hands of a young woman passing by. Moscow knows how delicate and yet powerful the refined beauty of flowers is – and needs a great many of them, more than “a million of scarlet roses” from an old love song. This is why flower delivery in Moscow is a very serious and demanding business. Megaflowers, being a leading supplier of fresh flowers in Russian Federation and worldwide, is able to carry it out with grace and efficiency. We can deliver flowers to Moscow residents quickly and accurately, precisely according to your instructions, which we encourage you to give us in as detailed as you consider. Our broad selection includes gorgeous flower arrangements designed by real florist masters for every imaginable occasion. We have elegant bouquets For Her, stylish floral compositions For Him, even merry bunches for children as well as thoughtful flower combinations for business needs. Naturally, we offer all-time classics like red roses, white lilies and blue irises, but our floral collection has so much more – from exotic orchids to trendy alstroemerias to idyllic sunflowers... And just in case you would like to try your own floristic art skills, we invite you to our Bouquet Master page, where you will be able to create a custom bouquet all on your own, starting from step one. When sending flowers to Moscow or other city through Megaflowers, please check out our line of related products, which includes such fine additions to floral gifts as beautiful, custom-designed ornamental vases, adorable stuffed toys, and a wide variety of potted houseplants certain to catch the fancy of home-and-garden enthusiasts. Send flowers to Moscow using Megaflowers world-class service, and you will see that we are always willing to go the proverbial extra mile (or should we, like old Muscovites, say “extra verst”) to ensure that your beautiful flower shipped present reaches its destination on time. You can even order a special Confirmation Photo (some restrictions may apply) to see and enjoy the very moment of flower delivery! Спасибо. Thanks for your best service.